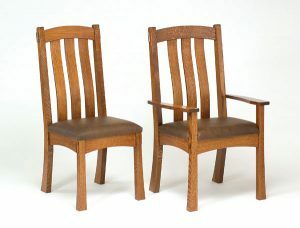 Hand built narrow mission dining chairs are hard to find. 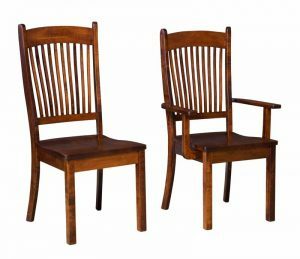 Amish Showroom builds quality solid wood chairs using time tested mortise and tenon jointery. 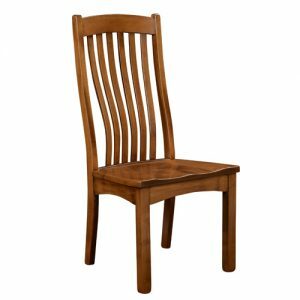 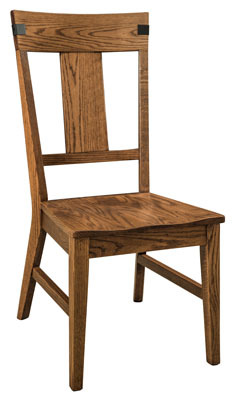 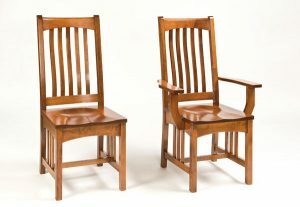 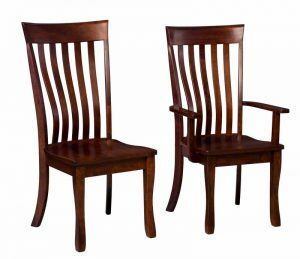 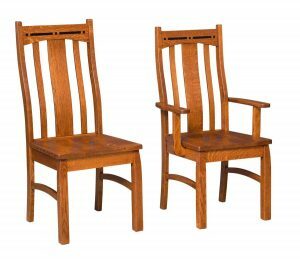 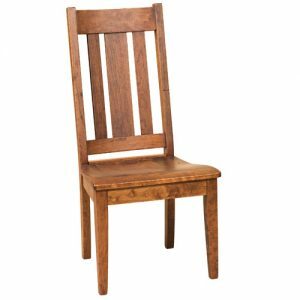 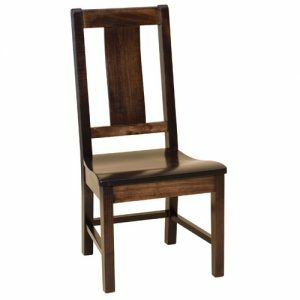 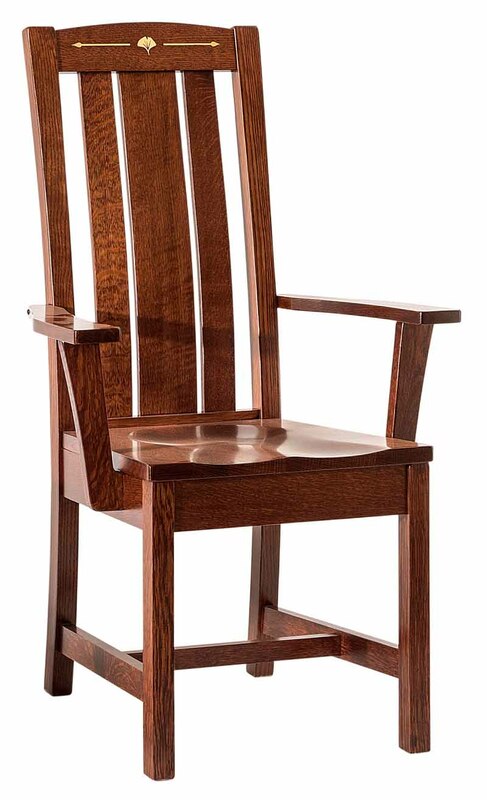 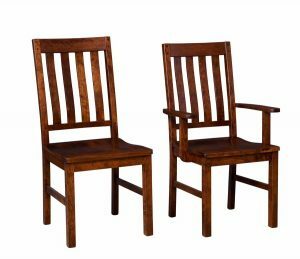 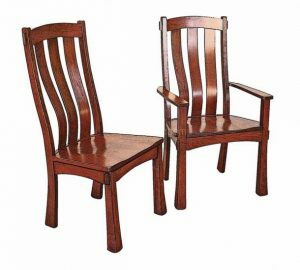 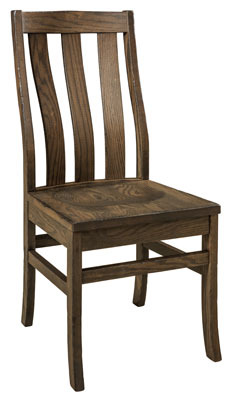 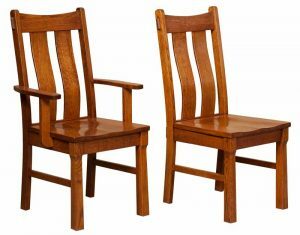 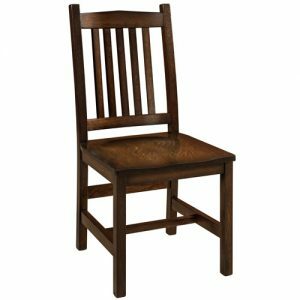 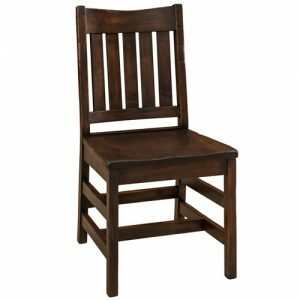 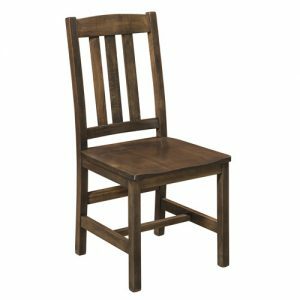 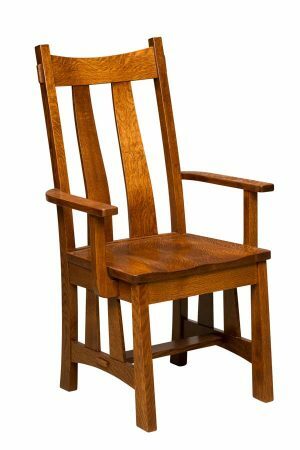 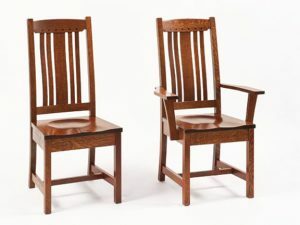 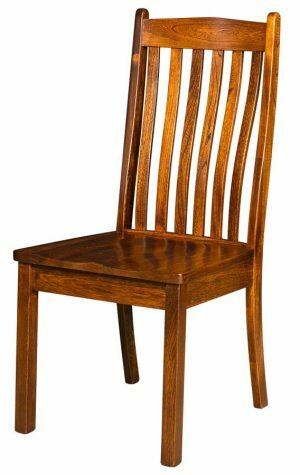 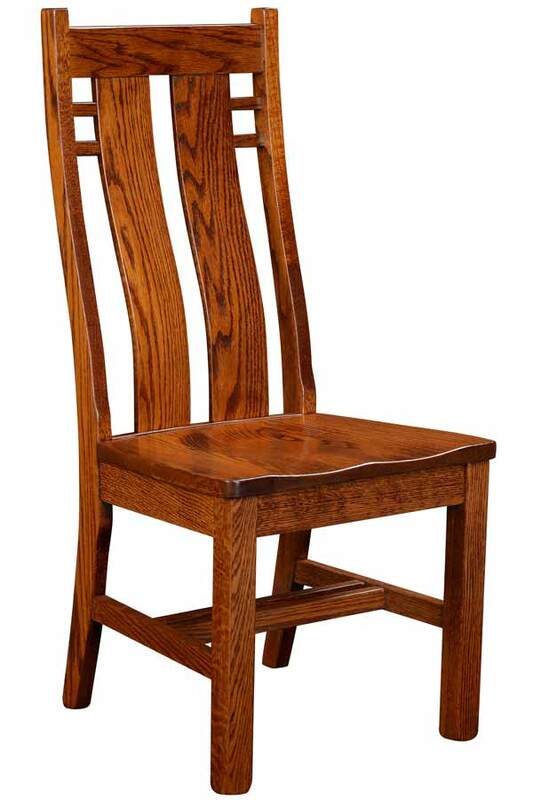 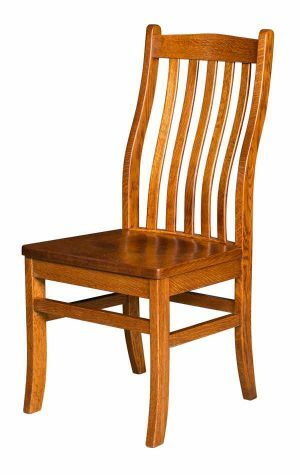 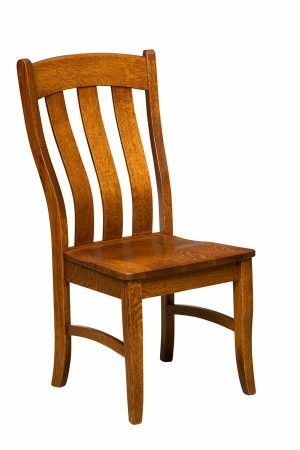 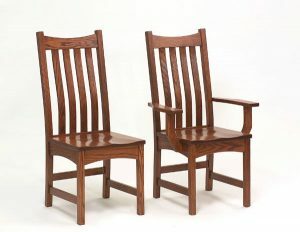 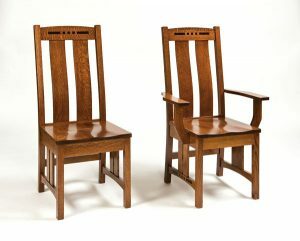 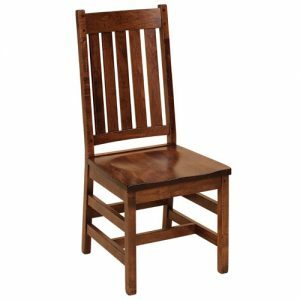 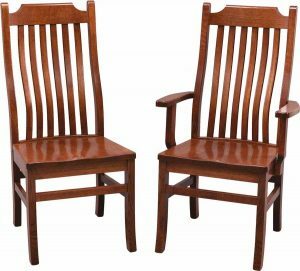 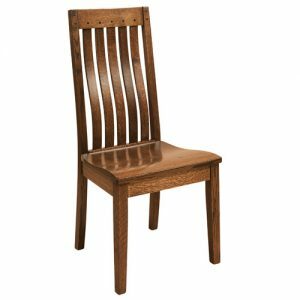 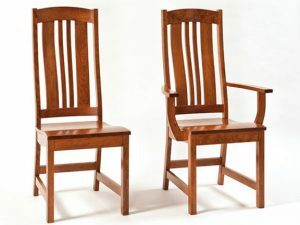 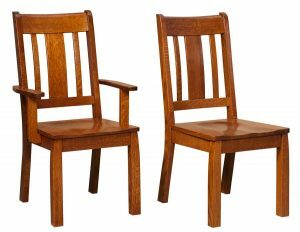 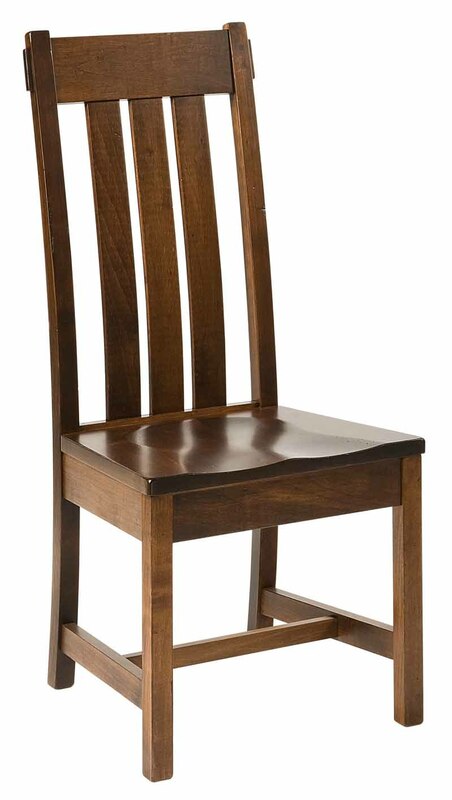 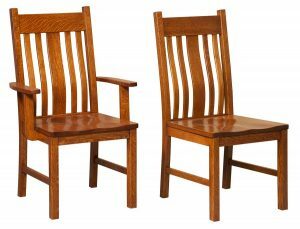 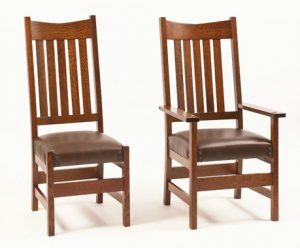 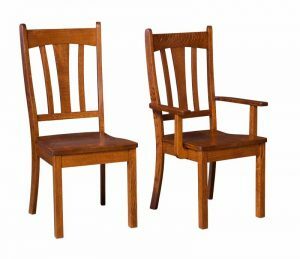 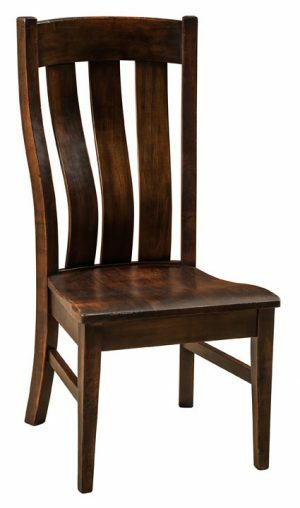 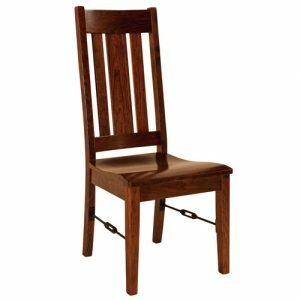 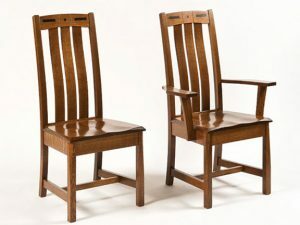 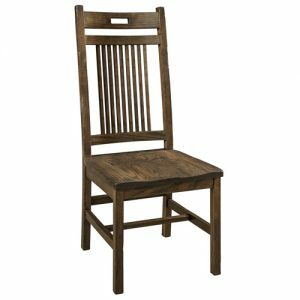 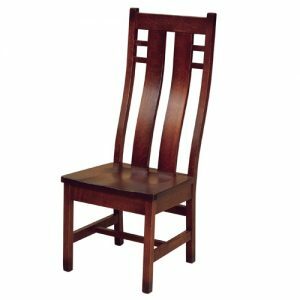 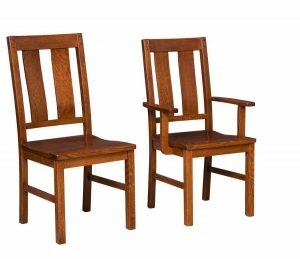 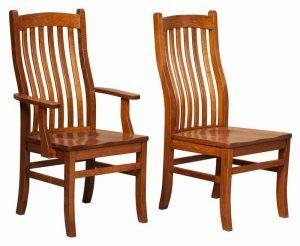 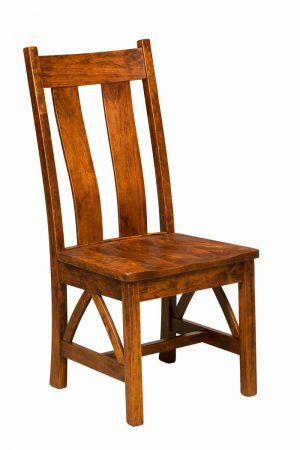 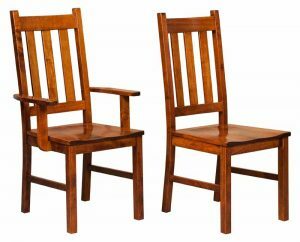 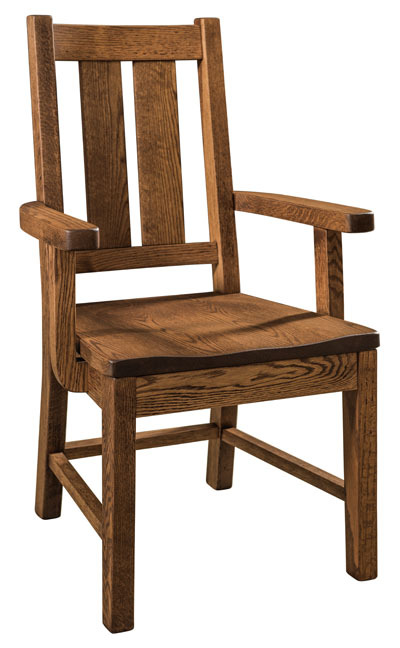 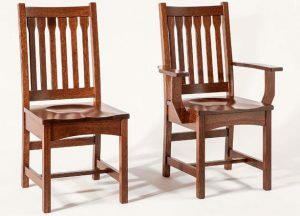 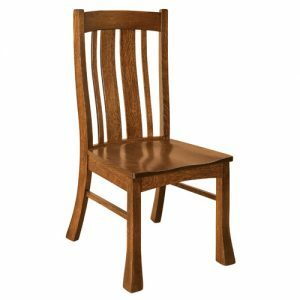 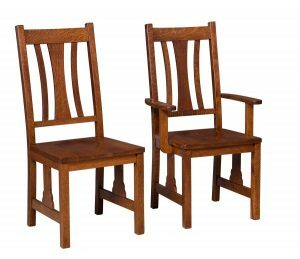 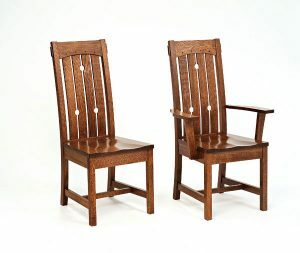 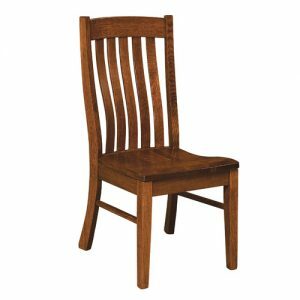 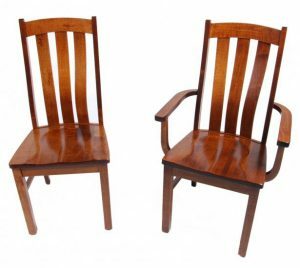 The mission style chair, or arts and crafts style dining furniture, has a straight line and very strong joints. 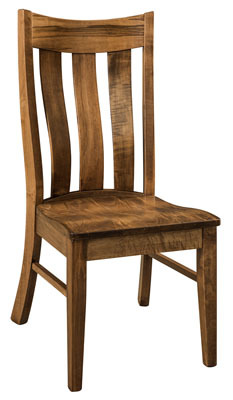 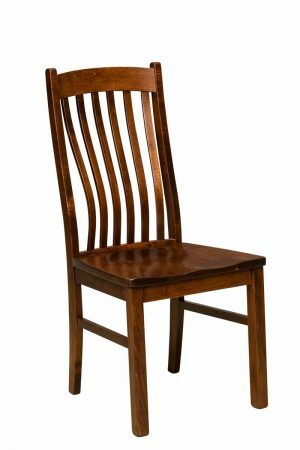 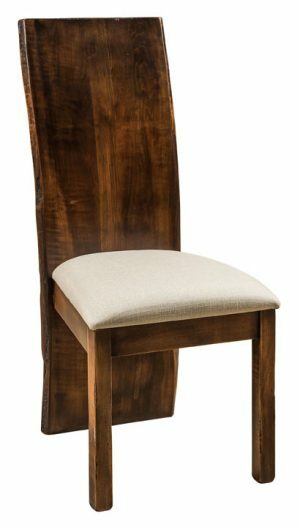 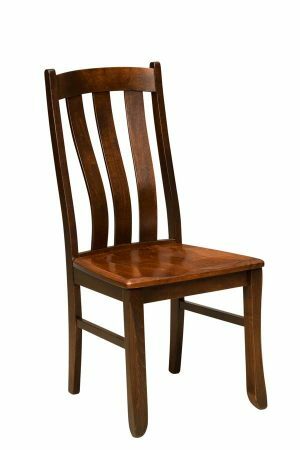 We build chairs with lumbar support from steam bend solid hardwoods that have a floating joint in the top. 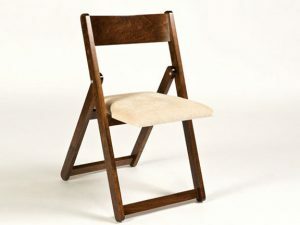 This allows the chair back to flex and not crack. 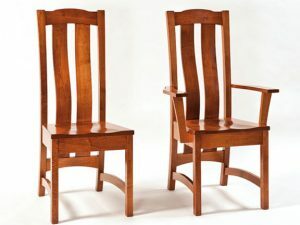 Building solid wood chairs takes talent! 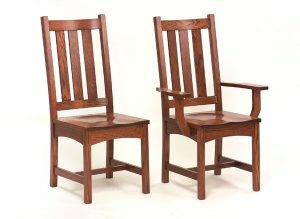 Our builders use time tested joints and deep scooped wood seats to last a lifetime.